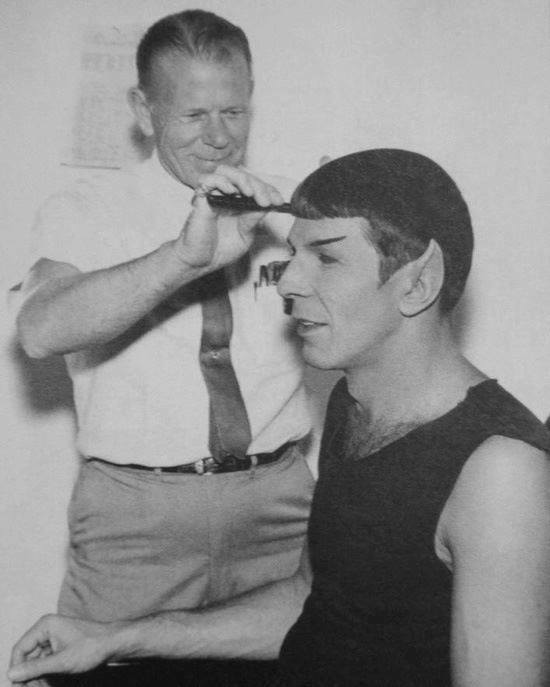 Frederick Beauregard "Fred" Phillips (26 April 1908 – 21 March 1993; age 84) was a makeup artist for Star Trek: The Original Series and Star Trek: The Motion Picture. He is the father of fellow Star Trek makeup artist Janna Phillips. For his work on The Motion Picture, Phillips received a Saturn Award nomination for Best Make-Up from the Academy of Science Fiction, Fantasy & Horror Films, shared with his daughter and Ve Neill. Phillips credits as a makeup artist encompasses such feature films as The Wizard of Oz (1939, featuring Billy Curtis), Around the World in 80 Days (1956), House of Usher (1960), Blacula (1972, starring William Marshall in the title role, with Elisha Cook, Jr.), One Flew Over the Cuckoo's Nest (1975, starring Louise Fletcher, Brad Dourif, Michael Berryman, Peter Brocco, Christopher Lloyd and Vincent Schiavelli) and television shows like Bat Masterson, The Outer Limits. Before Star Trek, Phillips worked with actor William Shatner on a 1964 episode of The Outer Limits (also featuring Lawrence Montaigne, James B. Sikking, and Malachi Throne) and in the 1965 film Incubus. The last film Phillips worked on was 1981's Under the Rainbow, along with fellow Trek makeup artists Steve LaPorte and Rick Stratton and hair stylist Joy Zapata. Phillips was asked to do the makeup for Star Trek II: The Wrath of Khan but had to turn it down as he was going blind. He died in Los Angeles, California in 1993.